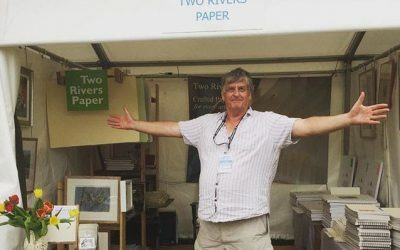 Handmade paper maker James Patterson has been named Maker of the Year in this year’s Heritage Crafts Awards. Maker of the Year was one of six awards presented at the Heritage Crafts Association’s (HCA) annual conference at Cecil Sharp House, London on 9th March. 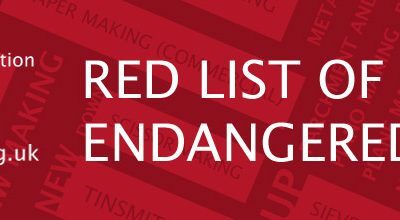 New research by the Heritage Crafts Association has unearthed dozens more traditional craft skills on the verge of extinction in the UK, in the first major update of its pioneering project, the Red List of Endangered Crafts launched on Saturday 9 March. 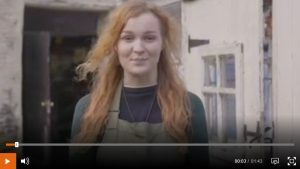 Zoe Collis, the papermaking apprentice at Two Rivers Paper who was recruited through the HCA’s pre-apprenticeship pilot scheme in 2017, is now a role model for young heritage crafts recruits after featuring on the BBC Bitesize website. 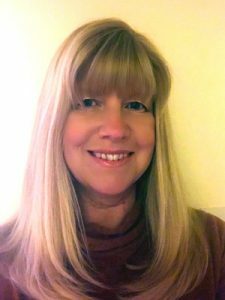 The HCA is delighted to have appointed Julie Crawshaw as its new Executive Director to lead the organisation into the future.